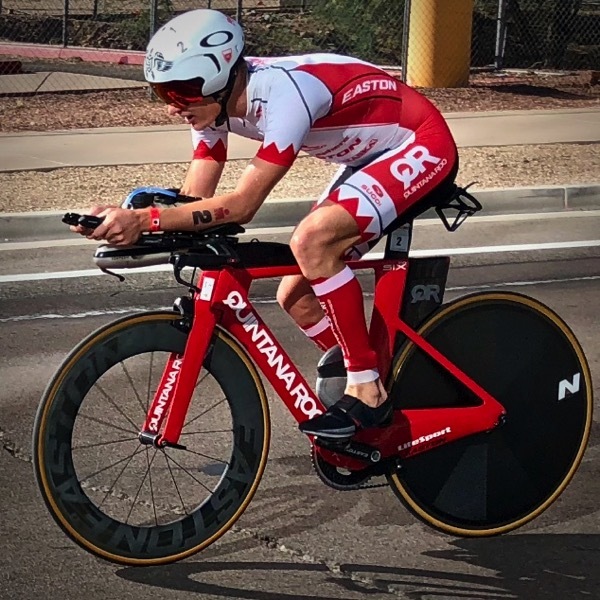 Brent entered the world of long-distance racing with a huge bang: He won IM Arizona 2014 with a time of 7:55:48 which is still the fastest IM debut ever. He continued his first season as an Ironman athlete with another sub-8 finish at IM Brasil and a ninth place in Kona. Since then he’s been racing at a similar level, winning IM Brasil in 2016 and IM Lake Placid 2017. But he hasn’t been able to make that next step forward that everyone seems to be waiting for: His Kona results were not what he was looking for (30th in 2016, DNF in 2017), and while he raced well in Arizona, his results were overshadowed by Lionel Sanders winning the race three times in a row. Brent is now lining up to race his first 2018 Ironman in Texas. Thorsten: Looking back on your 2017 season, it seems to have been lots of lows and highs. Brent: It was certainly an up and down year which was frustrating because my fitness was always there. The down races could have just as easily been great races because I was fit and ready .. but “bad luck” (for lack of a better word) is just what happened. SuperLeague was one of those opportunities that you have to take. I wanted to be part of such a cool new format, a little nostalgic for me from when I was younger and racing the short stuff. I enjoyed it but the really short and fast stuff is no longer in my wheelhouse and the risk is too high. I was taken down in SuperLeaue and had to get thumb surgery. Once recovered I went to Brasil ready to duke it out with Tim Don – then I got a sinus infection the week of the race. I carried my fitness into Lake Placid and I was super happy to win with a new course record. I knew I’d have a great race there, I was fit for the whole season but just haven’t been able to race before. Lake Placid was an indication that the fitness is there and I raced 70.3 Worlds to get a solid effort before my Kona build. Kona went sideways when I got stung by a jellyfish all over my calf warming up, maybe four minutes before the start. It hurt like hell but I couldn’t get out and do anything about it, so I just had to go and see what happens. Towards the end of the swim my asthma started to flare up, once on the bike anything I ate or drank just came back up. It was hurting a lot with the wind blowing on it. I just wasn’t able to keep going. Tactically, I’m comfortable with Kona. I know where I need to be, and I was able to do that the first year I raced there. I just have to do the same thing and get my hydration right for the marathon – and then run what I’m capable of which should be under 2:50. We’re figuring that puzzle out and I feel pretty comfortable that we’ll have it completely sorted by the middle of this year. After Kona I went to Arizona, I’m comfortable on that course and had a solid day to finish second. Of course Lionel is always pushing the pace there and it wasn’t one of my top performances. I was just happy to carry the fitness from Kona into another race and finish the season with another solid Ironman. Then I took a good off-season to regroup, put things behind me and focus on this year. I think I’ve had enough bad luck and am excited for this season! T: How did you prepare for Texas? Any heat camps to avoid the Canadian winter? I have a training base on Maui with friends. I’ve been there for all of March and I will probably go back there in September and early October to get ready for Kona. Daniela asked me all about it last year, I spilled some good parts but told her to keep it on the down low. It’s awesome there but there’s not a ton of triathletes there. I did one prep race in Davao. [Brent finished in tenth place with an uncharacteristic slow half marathon of 1:45.] We were trying to figure out the nutrition and hydration for hot weather. I was taking too much sodium so I started cramping up halfway on the bike. On the run I was also cramping up pretty badly, and it took me until the halfway of the run to take up enough water and start to jog again. We tried some different things that obviously didn’t work. I’ve had a few races with symptoms of cramping, but we think we now have the dosage figured out which should allow me to race better in Kona. It’s hard to take these beat-downs, but as long as you’re learning from it then it’s worthwhile. T: Have you had a chance to explore the course in The Woodlands? I got in Tuesday evening and have been checking out the course. The bike course is a long interstate highway that we go South and then turn around and come back. There are a few turns at the start and the end, but the middle 160k is all straight and flat. It’s similar to Brasil and Arizona once you get on the main part of the loop. This course has some overpasses but essentially it’s flat. It’ll be about pacing, being consistent and strong towards the end. Similar to Arizona I think there’ll be some groups on the bike. It’ll probably be a little tighter for the first 90k and then things will break apart on the second 90k. You just have to balance your efforts and see who’s doing what. At the start it’s similar to Kona where there’ll be a group and you have to bide your time and make your move at the right time for you. T: What will you and the others do when Starky is going off the front? He’s going to do what he’s going to do. I have my own kind of race plan, even if I have a mediocre marathon I can run ten minutes into Starky. If it starts to get towards 30 minutes then it’s something to worry about. But if we’re in the ten to 20-minute range then I’m going count on my run being there and being smart on the bike. T: What about the other good runners in the field? Everybody wants to be in a good position coming off the bike, Starky is going to do his thing off the front, the rest of us runners will try to drop some of the other runners. There are enough competitive guys here to push the pace regardless of what’s happening way off the front on the bike. Not everybody wants to be sitting in and just have a marathon – I race triathlon so I’m trying to make everyone work, make the bike hard and then get off and run fast. I’ve raced Will Clarke on the half distance and Matt Hanson has run really fast here in Texas. Fred Van Lierde is a Kona champion, he knows how to race well and he knows how to bike and run. I’ll pay attention to them, but ultimately I have my own race and I’m going to do my efforts. If these guys are around, then they’re around, and if not they’re not. We’ll see who’s riding low-4 hours and running low 2:40s. T: Assuming you secure Kona qualifying in Texas, what’s the plan for the rest of the year? I’ll be staying in North America this season, doing a little less travel and focus more on being home. We’ve got 70.3 Victoria in my hometown that I haven’t been able to do the last years. I live on the trails and the roads that we race on, so I’m looking forward to that. Then I’ll head over to Tremblant at the end of June. Before Kona, I also plan do 70.3 Cebu, the Asia Pacific Regional Championship race – the climate will be a good test for my Kona hydration. I won’t be doing 70.3 Worlds this year, I’ll just take a big block into Kona. I’m also looking into doing IM Canada in Whistler. It’s one of the races I’ve been looking to do since I’ve started racing Ironman. It’s a good strength with a lot of climbing on the bike, it’s a good hard event so it’ll be good training to get in the legs. It looks like a good opportunity to race without much travel. When I feel strong and healthy at that time of the year, it’s still far enough out from Kona that I can take a bit of a break in August and then train up for Kona. Doing Lake Placid last year put me in a fairly good spot through August, with no 70.3 Worlds this year it could work out well. 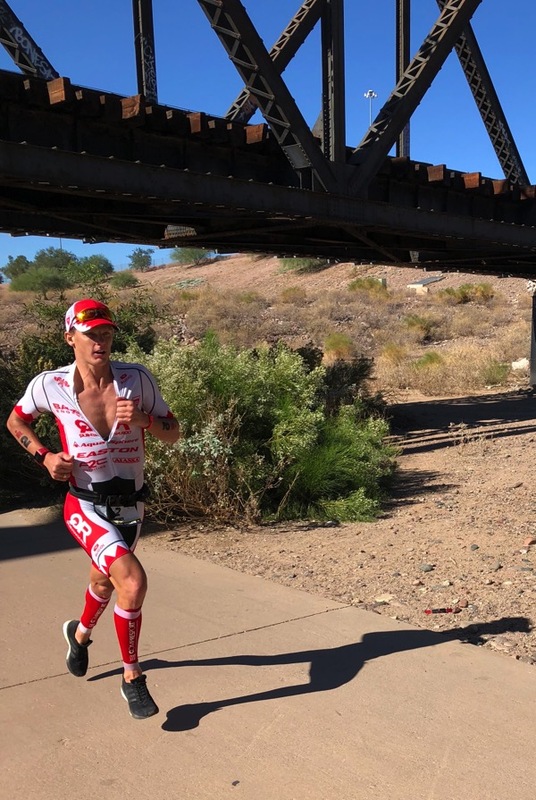 Even if you take a break, you’re still holding most of your fitness it’s more about getting your adrenal system rested, then you can carry your strength and the aerobic fitness into the two-month training block for Kona which is enough time. But we’ll make the call a little bit later, also depending on how the body feels after this weekend and a couple more races. Texas is a big race on the Pro race calendar, and obviously a big one for Brent as well. A good result such as a Top 5 should take care of qualifying and will allow Brent to plan the rest of the year leading into Kona as he wants to. But I’m sure that he has his eyes on the win in Texas. I have him seeded in first place (full seedings for IM Texas) but the margins are pretty small. There are likely to be changing alliances throughout the race: For most of the bike the stronger runners will probably work together to keep Starky’s lead from growing too large – while at the same not exerting too much energy to save their legs for the run and letting the others do most of the work. With Brent but also Matt, Fred, and Will there are experienced Ironman racers that have shown they can work in this tactically difficult situation. I’m looking forward to following an interesting race, and I hope that Brent can plan an important role in it!